The Brother QL-800 is a professional, high-speed label printer with unique technology that allows you to print in high visibility in black and red on the entire label. Rapidly prints black and white labels for envelopes, packages, file folders, barcodes and assorted business uses. Create cost-effective paper labels for file folders, envelopes, packages, and DVDs –even create banners and signs up to 3-ft long. The ultra-fast print speeds of up to 93 labels per minute help save time on big projects. Whether you print 1 label or multiple labels at a time, the convenient, automatic cutter speeds your job along. Use one of the two easy ways to create labels…Press the Editor Lite button to launch the intuitive, built-in Plug and Label software to quickly type and print labels without installing software. Or install the included P-touch Editor label design software to create more elaborate labels. Plus, print postage and save trips to the Post Office. Print the exact postage you need, when you need it right from your desktop. 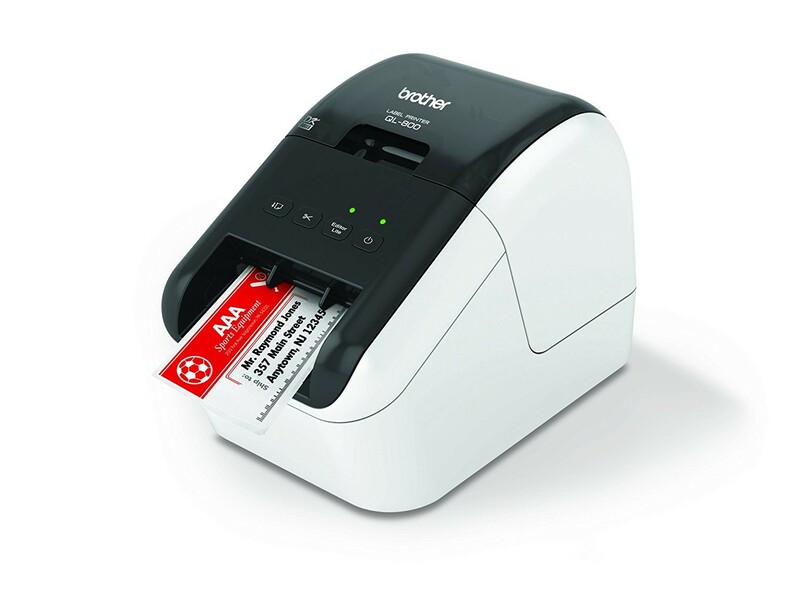 Quickly tackle labeling tasks in a busy office with this professional, high-speed label printer. The QL-700 supports ultra-fast print speeds up to 93 labels per minute(1) to help save time on big projects. Whether you print 1 label or multiple labels at a time, the convenient, automatic cutter speeds your job along. Save trips to the Post Office to buy stamps. Print stamps using pbSmartPostage™ – the first cloud-based postage service. With no software to download and no monthly fee...it couldn’t be more convenient. All you need is a PC(2), Internet connection, and a pbSmartPostage™ subscription. Available when you need it – 24 hours a day – whether you are at home or in the office. Print cost-effective, pre-sized paper labels for common office uses such as file folders, envelopes, DVDs - even packages. Versatile…so you can also print on continuous paper and tape rolls for banners and signs up to 3 ft. long. The built-in auto cutter lets you create almost any label size you need – and ensures a clean and finished edge every time. Need a great label fast? Use the Label Collection Download feature(2) to import and print pre-designed labels using P-touch Editor. Print labels for files, office signs, shipping applications, recycling programs, retail environments – even create festive labels for gift tags.